A Golden Wedding Anniversary to Celebrate! 50 Years! This beautiful table centrepiece with candles, in rich golden colours is perfect for the dining table, celebrating this wonderful event. 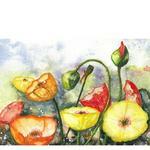 Easy to take care of - your flowers are arranged in oasis and so just need to add water daily. 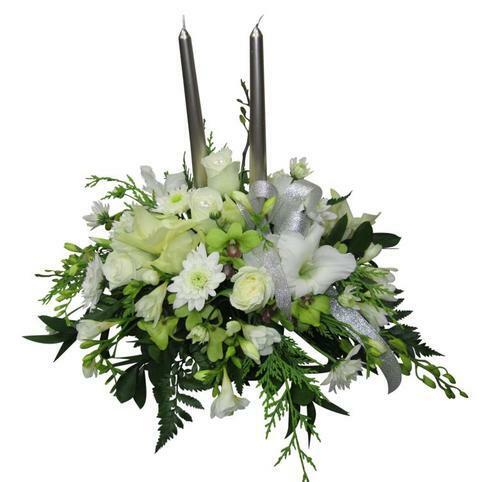 Silver Wedding Anniversary - 25 years - Flower Arrangement in whites and silver. Pearl Wedding Anniversary - 30 years - Flower Arrangement in creams and pearls. Ruby Wedding Anniversary - 40 years - Flower Arrangement in rich reds. 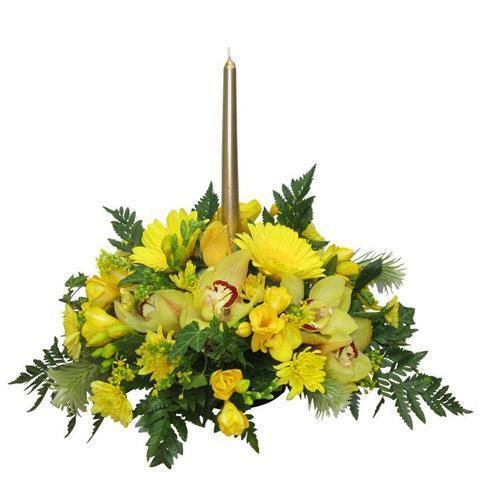 Golden Wedding Anniversary - 50 years - Flower Arrangement in golden colours. 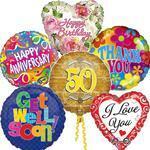 Diamond Wedding Anniversary - 60 years - Flower Arrangement white, silver, and bling. Please tell us in the notes to florist section of your order if you require a different anniversary colour and we will make a gorgeous arrangement for you.